Record Description This undisturbed burnt mound is large, prominent and of great interest being located just above the floodplain of the River Ure, this Burnt Mound is at an exceptionally low elevation. 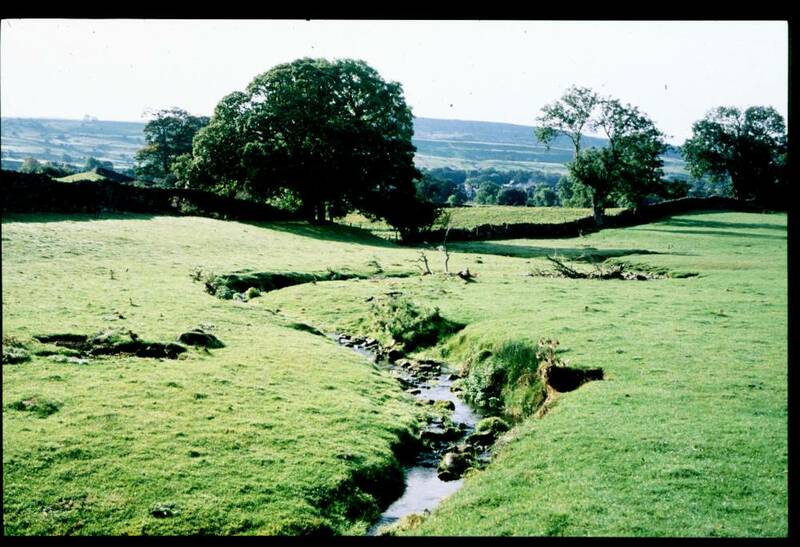 Lithic finds further west in molehills (to be recorded seperately) and a possible barrow located on a drumlin upstream on the opposite side of the Ure indicate that there is evidence for prehistoric activity close to the river. 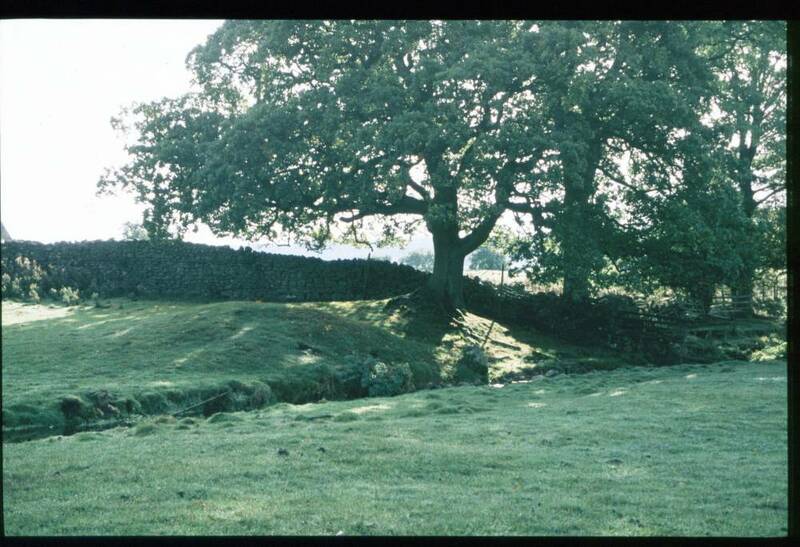 A mature oak tree grows on this mound. Image 1 Description Low Wanless Springs. Burnt Mound with oak tree. Image 2 Description Low Wanless Springs. 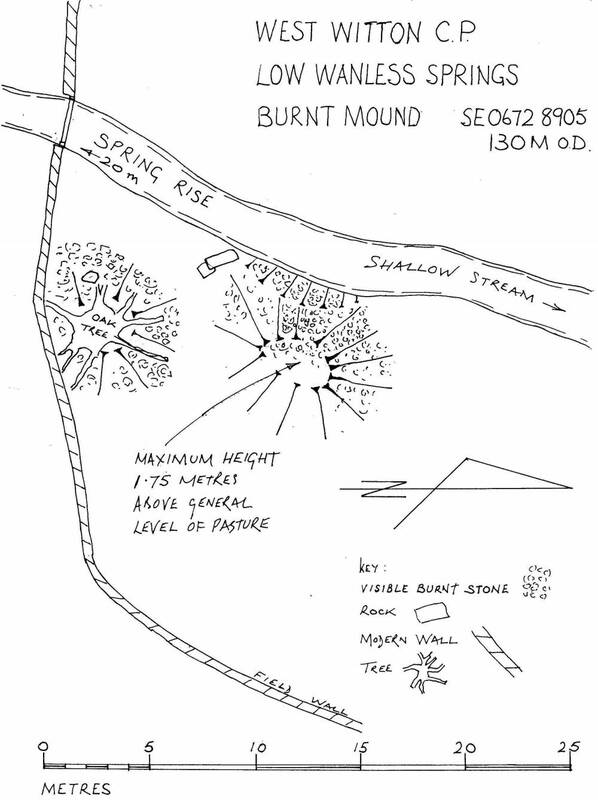 Burnt mound location. 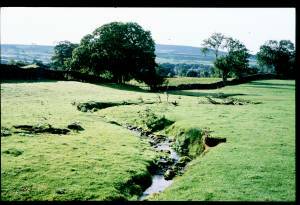 Image 3 Description Low Wanless Springs. 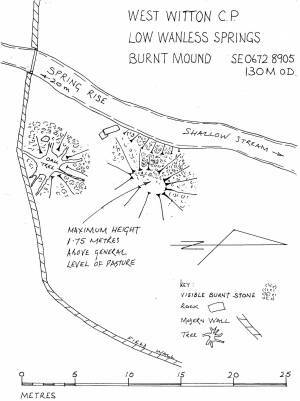 Burnt Mound Plan.